The Ike doesn't look to even make it as an AU-55. Not that it makes any difference since it's probably worth only $1 USD either way. 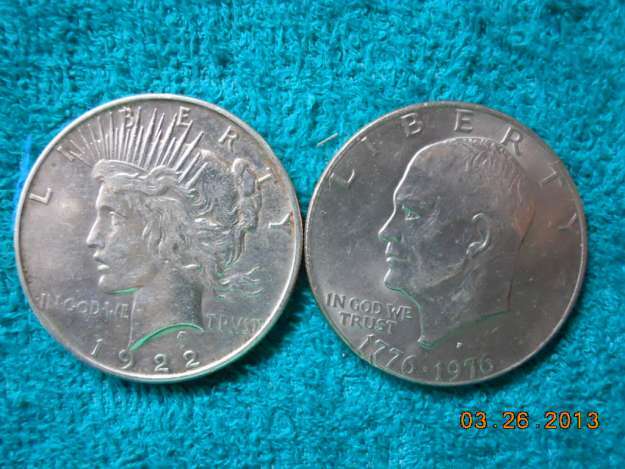 Hello, let an American, help you with American coins ! 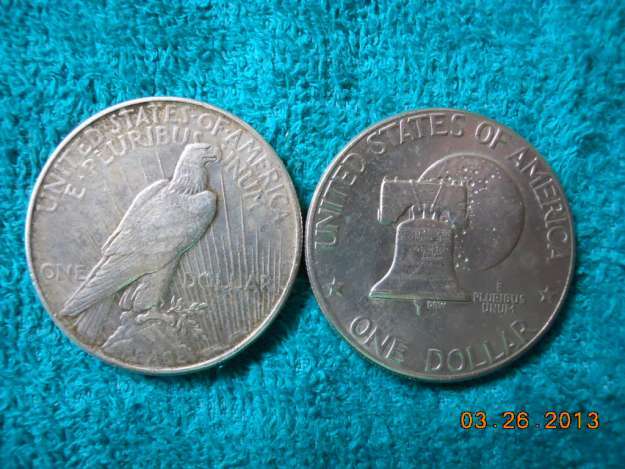 First on the peace dollar, don't worry about the grade, first check out if it's a " VAM " here's the link: http://www.vamworld.com/Peace+Dollar+VAMs there's two kinds of Ike dollars, see which one you have, the Ike dollars isn't worth nothing more then face value, but if that Peace dollar a Vam, now your talking a little bit of change ! ! !